Nitro Pro is a desktop PDF editing application that facilitates the conversion of documents from PDF to Word. However, one downside to this tool is that once you install it on your desktop, all Adobe applications will get disabled. One alternative you can use is PDFelement. 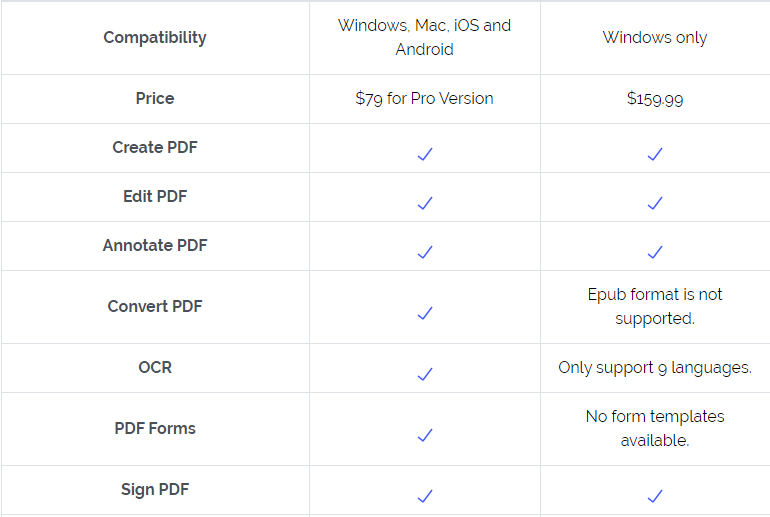 PDFelement lets you convert PDF to Word just like Nitro, and it is 100% compatible with Acrobat Adobe Reader and other PDF readers. Launch the program and select the "Open" button on the Home window. 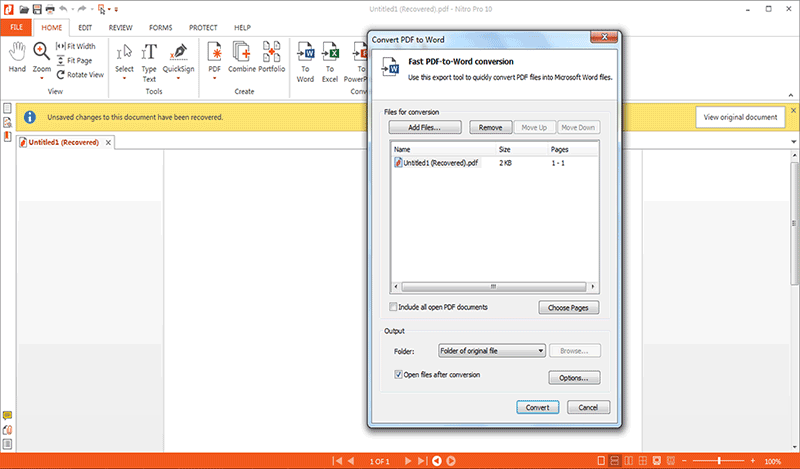 Choose the PDF file from your computer to convert to a Word file. Step 2. Select "To Word"
After opening the PDF file, select the "Home" tab and click the "To Word" icon. This will initiate a "Convert to Word" pop-up window. After setting the necessary options, you can choose the format for your word documents to "Word(*.docx)". Then click the "Convert" icon to start the conversion process. Now, you can use the new files as needed. This is how you convert your PDF to word in seconds. 1. Download Nitro PDF to Word Converter from the official website and install it on your computer. Ensure that your computer runs on either Windows XP, 8, 8.1 or 7 versions. The processor should have a processing capability of 1 GHz. 2. Open Nitro Pro. Go to the "Home" tab and find the "Convert" menu. 3. 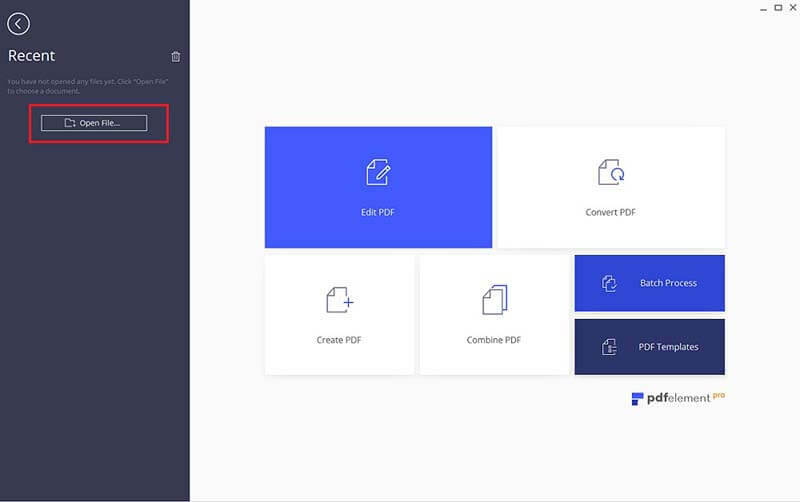 Look for the file format that you would like to convert your PDF file to and select that option. 4. Choose the files you need to convert. Then click "Convert the PDF" tab. The software will convert the PDF file to a Word file. You can also preview the new file. 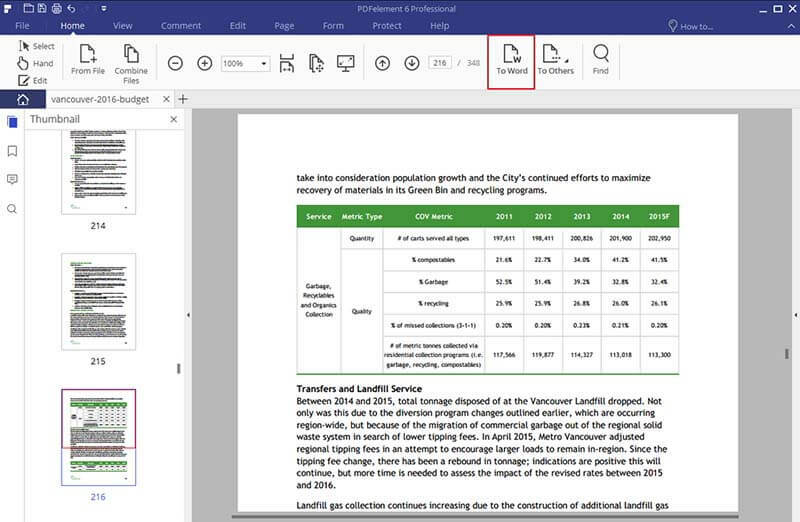 In addition, Nitro offers a free online/cloud solution to convert PDFs into Word documents. Although Nitro is very powerful and easy to operate, the time it takes to convert files is not ideal. What's more, it does not support batch conversion, nor does it support the latest Windows version or Mac. But, if your file is simple and small, you can easily convert your PDF to Word using Nitro Pro online.